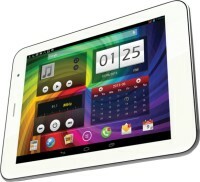 All prices of Digiflip Pro XT811 Tablet in the above table are in Indian Rupee. 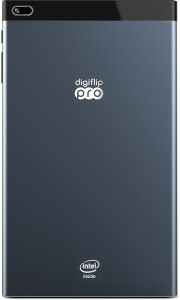 The Digiflip Pro XT811 Tablet is available in FLIPKART. 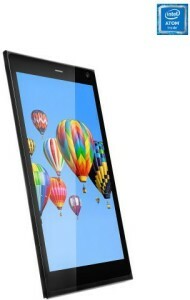 The lowest price of Digiflip Pro XT811 Tablet is 9999 in FLIPKART. 3.5 Average Based on 2331 Ratings and 668 Reviews. Full and True Review on XT811 Digiflip Pro Tablet! Budget Tablet for Average user, Not recommended for professionals! Need Ebook Reader. This is It.! I wanted a Ebook Reader, E-Mail Reader. Place to view my Pictures. This Does it. The Good 1. I Installed Moon+ Reader Professional. This works great for those of you looking for a ebook reader. txt, html, epub, pdf, mobi, umd, fb2, chm, cbr, cbz, rar, zip or OPDS 2. The Picture quality is great. 3. The Touch Response even better. 2. Good Battery. 3.If you buy digiflip power bank digiflip-power-bank-11000-mah-pc01. You can be without a power source for a reasonable long time. The Bad. 1. 1GB RAM. You cannot have too many apps running on this machine. You cannot also let any specific app to bloat as I learnt. My device crashed within an 1 hr after I unboxed it. I had to reinstall the errant app and prevent it from being SMART cause of its smartness and causing the memory hog. 2.OTG transfers will take ages. 100MB tansfer via OTG takes 10 minutes. I don't know if its only a problem with my device. (It easier to remove the SD card out and transfer. The SD card access is outside the device , so its easy). Anyway who needs it on a regular basis. 3. 64GB -128GB OptionSD card would have been good. The Ugly 1. I tried taking a photograph while in motion. The tablet crashed. I also don't bother about. 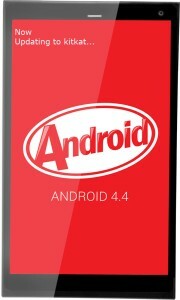 Cause for me "A Tablet not a Camera" Also I haven't updated the device to Kit- Kat 4.4.2. It might slow it down. I don't know that for a given but the updated release might hog more of Memory resources that are available. This could make the touch responses slower. I have to the feedback from others and Digiflip in this aspect; Hope they respond. Summary : At 11,000/- Its a Great Buy for the Software setup it is released with. Suggestions: A Product would have been better with a 2GB RAM. 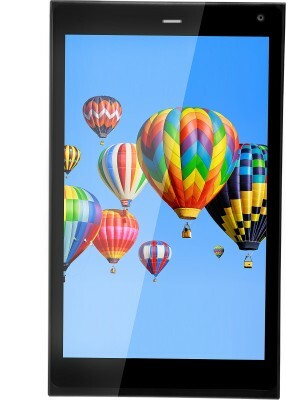 XT911 has that but its price point is 16,000/- ( XT911 also has a Higher Screen Resolution, Screen Size 9 inch; which is nice if you view HD movies. - Otherwise this product is identical ). At 2GB RAM it would have been a runaway success. On the 4 th day the display is out. when requested for return one person from flipkart asked me to charge the the tab for 8 hours switch off and then press vol and power key, reboot option will come and do reboot everything will be fine. he also cancelled the return request. after charging for 8 hours, and doing said as above, nothing happened, its only less than 15 days after delivery of the product but return option is unavailable now. digiflip is your own product, is this the responsibility to your customer, please do not cheat anymore person with your own bad product Digiflip Pro XT811 Tablet. now i understood the value of Brand. i compared lenovo samsung asus etc with this poor brand,my mistake. if you can't take the responsibility of your own product then who else can take??? tell me what i should do now with your tab??? friends don't just look at the features this tab is offering, there is no guarentee that the product will fuction for more than a month. DO NOT BUY THIS BAD PRODUCT. please understand why iam giving 5 star to this product. Worst - Pathetic Tablet - My Bad decision of buying this! I have bought this tablet for my parents so that I can do video chat with them. But its front camera(so called 2 MP) in not better than VGA camera. Video quality is worst. Even fon camera(5 MP) is also not good. Touch is also not good. My suggestion to all Buyer: Please don't go for the specification. Its their only to make you fool. 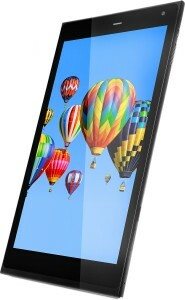 Go for ny Branded tablet even if you are ending up paying few bucks more. My suggestion to Flipkart: Your Name is very good in online shopping and no doubt your delivery and packaging is superb. But y r u selling these useless stuffs and making ur name down. I tried to return the device and ready to take another one but they did not take it return. So bad for me :( Next Time, BIG NO to all flipkart devices. When I saw this offer on the flipkart great sale, I was astounded. A tablet with these specs for less than 10k? It sounded too good to be true. I read the reviews and thought I'd take the chance. Besides it had the backing of Flipkart itself. It arrived before time, in an excellent package. The tablet came with a free OTG cable and a headphone jack adapter. 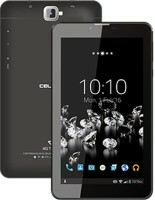 The tablet itself: Very sleek, great finishing and I liked the matt metallic blue colour. The display is magnificent. Crisp, vivid colours--a real treat while watching HD movies and photos. The extra inch in the screen length adds quite a bit more, without making it bulky. One can still hold it in one hand and use it. The touch reponse is silky smooth, I found it comparable to my Samsung Galaxy S4. The audio quality is also excellent. The speakers are quite loud; it doesn't need external speakers. Only, the speakers are on the right edge, so may not give the stereo effect that speakers on either side would. I can't comment on the camera because I don't pay much attention to the camera while choosing a tablet. In the few days I have used it, it has not hung even once. I'm not interested in games, so I can't comment on the lag etc. But it handles all other apps well. Conclusion: Go for it, aankh band karke. For the price, I find it the best in its category. Highly, highly recommended. I just received delivery of this xt811, Its camera quality is extremely poor, front camera does not show even any things visible, get too dark images, not even look like 2 mega px camera. A good deal for such Hardware-Software combination! I bought this tab on the launching day and got it delivered within 1 day. (because i was using 1 day guaranteed delivery of flipkart). After using it for almost 15 days i can say that it is one of the best deals for the tablets. 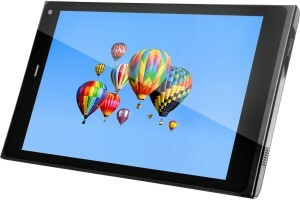 If you really need a tablet with good configuration and low cost with so many offers, you must go for this one. Good Battery backup. (4/5) Nice responce. (4.5/5) Very good touch. (4/5) Screen clarity 4.5/5(very very good) I am using it on wifi, haven't inserted the SIM Card in it. I am now waiting for my book cover which i had got in offer.